There can be little doubt that social network marketing is becoming one of the fastest growing areas in the marketing world today. Every day, we are inundated with new terms and forced to continue to keep up with the latest in social networking technology, including these new Twitters everyone keeps talking about, and the more recent updates Facebook has launched in order to both stay on top of the growth curve and counter this Twitter phenomenon. In addition, it is becoming more and more clear that the eyeballs and attention of online users worldwide are continuing to migrate and spend more time in social networking sites than ever before. Facebook was at 100,000,000 users as of July 2008, and they are now surpassing 200,000,000 today, doubling in the span of just months. To accommodate this growth, Facebook has made a variety of changes designed to try and anticipate how users can continually manage this greater and greater influx of information in a way that’s still both useful and relevant in their daily lives. Of course, this accommodation and change is met with greater resistance today as so many people are now personally vested in the functionality of Facebook and don’t want to see key features for staying in touch with friends and business associates become diminished. That said, Facebook is still the dominant social network for businesses large and small to reach their consumers in ways never thought possible before. With the new Facebook redesign, a Facebook Business/Fan Page is fast becoming the way to go for companies wishing to have the most impact with online users today. The new design allows a business to more conveniently present itself similar to how an individual presents himself today, with photos, status updates and even blog feeds imported as Notes. All of these elements appear in a user’s News Feed, which means that the business has a better chance of staying front and center with their consumer base. 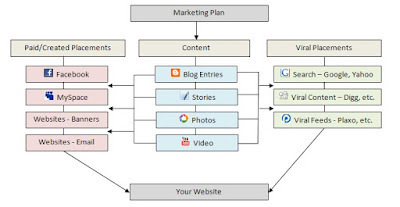 The more popular the elements are (such as a great photo album tagged with multiple people), the more often that element appears in the news feed, as well as appearing on the right-hand column where Facebook now features what it deems the most popular content for a user to view for that day. Of course, an update for 2009 in the world of social networking would not be complete were it not to discuss Twitter. This service, which has definitely taken a lead position in terms of what new social network topic people are talking about, allows all of us, individuals and businesses alike, to keep our friends and fans up to date as what we’re up to in business and in life. The technical term of a Twitter is a microblog, which is simply a small amount of information equal to that which fits into a typical cell phone text message. One important aspect of Twitter is to have as many people following you as possible... the more that follow you, the more you’re spreading your message out there on the Internet. So if your company has just posted a new update in its blog, has issued a press release, has an event to announce or simply has something to say, putting it into a Twitter means that you have one new online location from which to get the word out. And people will hear you and respond almost immediately. The second power of Twitter is in the non-immediate responses found when using the SEARCH function on Twitter, which was rather hidden by the folks at Twitter until only recently. You can do a search for key words relevant to your business, such as “gay travel” or “gay business” to find Twitter postings several weeks or months old that are relevant to you and your industry. Finding these postings allows you to see who is posting what, discovering more about them through their online Twitter bio and link to their website. It is fast becoming a great way to expand one’s business network to reach individuals not found through some of the more traditional social network sites we’ve been using over the past year including LinkedIn.com and Plaxo.com. It is this concept of “followers” and “connections” that is fast becoming key in the social networking world. Without a good number of people relevant to your business staying connected with you and receiving those gentle social network updates you’re sending out by posting status updates, Twitters, photos and link postings online, you would run into the “tree falling in the woods” scenario where if no one was listening, one would question whether the tree actually fell! The key is to put in the time to develop relevant friends, followers and connections in these and other social networking sites... it is this network of connections that is fast becoming the key differentiator between a successful social networking campaign and one that is just mediocre. It’s clear that to maintain a consistent network, one must put in the time... thus, as more and more companies are wading into the social network marketing waters and finding initial success, the next logical steps are to increase the time spent (whether that’s hiring an individual to do the work or an outside agency) so that they can continue to maximize the opportunities that are just continuing to expand and grow in this new marketing space. It is not just Facebook, MySpace and Twitter which have the opportunity to maintain a network of connections. The selection of which site you choose to upload your business photos and videos is very important as well. I tend to focus on Flickr.com for photos and YouTube.com for videos. Flickr.com not only allows for excellent integration of your business photos into a variety of sites online, but it also maintains a strong social network from which you can increase the likelihood that your photos are viewed online. By uploading your photos onto Flickr and tagging them with key words you want them to be found by, you’ve increased the likelihood of your business photos being put to work for your business. By putting your web link in with the photo’s description, someone who finds your photos can follow you all the way back to your website. 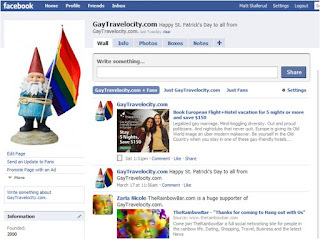 Lastly, adding your photos to some relevant groups associated with your photos and your business (such as the gay travel group, which currently has over 700 members) will further expand your reach with your photos in ways not possible on other photo uploading sites. The same applies to YouTube, where your videos can ultimately be set up to drive more and more traffic to your website with the use of tags (key words) when uploading your videos. These tags allow someone viewing one video to see “similar videos” of which yours would be included. Thus, if someone is watching a video about “gay Montreal” and your video is also about gay Montreal and tagged as such, your video will probably be one of their automatically selected “similar videos” as well, which online users click on quite frequently as they “channel surf” on YouTube. By maintaining a strong branding presence on YouTube with the use of these “channels”, your videos will then ultimately bring more eyeballs to your online products and services displayed on your website.